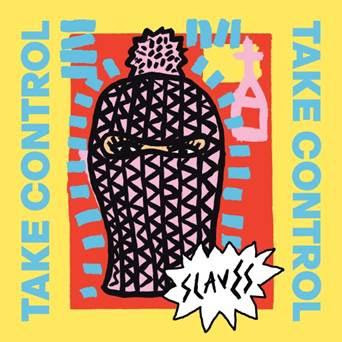 Officially A Yuppie: Slaves Announce New Album, Features Beastie Boy Mike D.
Slaves Announce New Album, Features Beastie Boy Mike D.
UK duo Slaves will release their new album, Take Control, in September. The album features production and musical cameos from Mike D. of Beastie Boys. Speaking to NME, the "Intergalactic" rapper said: "I feel right now the world needs an album like this. Something that is more raw, more alive and less polished. I was impressed with the band’s strong point of view. They actually speak their minds about social topics." Read Our 2012 Interview with Mike D.
Take a look at the cover, above, and the tracklisting, below, and hear the blistering new track, "Spit It Out" produced by Mike D., below.